In recognition of Alan’s spirit for giving, the NFFF has established the Alan Patrick Sondej Memorial Scholarship Fund for Families of Fallen Firefighters. This new scholarship will be part of the Foundation’s Sarbanes Scholarship Program and was made possible by a donation from a former volunteer firefighter from Prince George’s County. The National Fallen Firefighters Foundation is pleased to announce the selection of Chief John Tippett to serve as the Foundation’s Director of Fire Service Programs. The National Fallen Firefighters Foundation extends our deepest condolences to the loved ones of these courageous firefighters and is working to assist their families and departments. 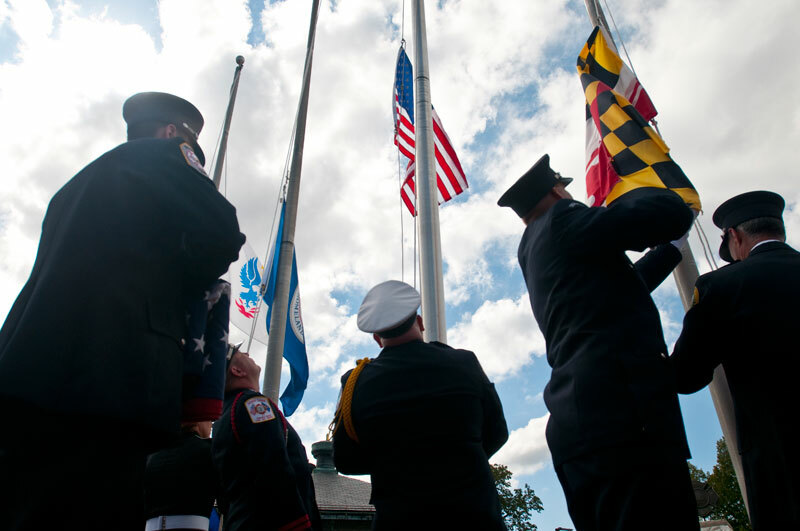 The National Fallen Firefighters Foundation’s strong financial health and commitment to accountability and transparency have earned it a 4-star rating from Charity Navigator, America’s largest independent charity evaluator. This exciting 7-day program, for young adults, age 18-25 who have lost a firefighter parent, combines hiking the Appalachian Trail with activities designed to encourage self-expression and healing. This course challenges you to discover inner strength. We will partner again with Comfort Zone Camp to provide a bereavement camp for children of fallen firefighters who have been honored in Emmitsburg. The Foundation will hold both the 4-6 age camp and the 7-17 age camp together in New Jersey. We will hold a retreat for children, for ages 18-25, who have lost a firefighter parent. You will interact with other young people who have had similar experiences, gain skills to deal with grief and to develop increased independence and self-expression. The National Fallen Firefighters Foundation’s Everyone Goes Home® program is encouraging firefighters to apply for Everyone Goes Home® advocate positions in each state to promote the 16 Firefighter Life Safety Initiatives and to reduce firefighter LODDs and injuries. If your department has not taken the International First Responder Seatbelt Pledge, please take a moment learn more about the program and sign the pledge online today! We’re collecting information about SOPs on cancer reduction, violent incidents, mental health, and response policies to highlight best practices. On May 17-18, 2018, the National Fallen Firefighters Foundation is hosting Initiative 11: Addressing a Fire Service National Emergency Response Policy conference to address converging issues on response policies. The goal of the conference will be to uncover how attitudes toward response policies have evolved since the last formal look we undertook in 2007. Join the National Fallen Firefighters Foundation and hundreds of others attending FDIC on Friday, April 27th for the 7th Annual FDIC 9/11 Memorial Stair Climb at Lucas Oil Stadium. Hundreds came out to the first-ever New York Knicks 9/11 Memorial Stair Climb presented by Chase at Madison Square Garden. It was a wonderful event! Thank you to everyone who participated.